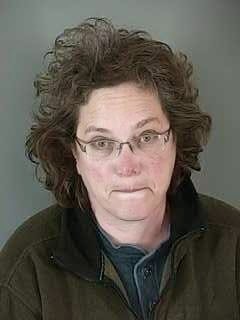 Eugene, OR (Feb 9)--After three months months behind bars at Weld County Jail, criminal stalker Debbie Frisch has been released from jail. She was apparently bailed out by her ever-enabling parents, Allen and Carol Frisch. Miss Debbie has apparently still failed to learn the good sense of shutting up and not stalking, harassing and threatening people: within hours after being relased, criminal Frisch was posting libelous posts on Facebook.